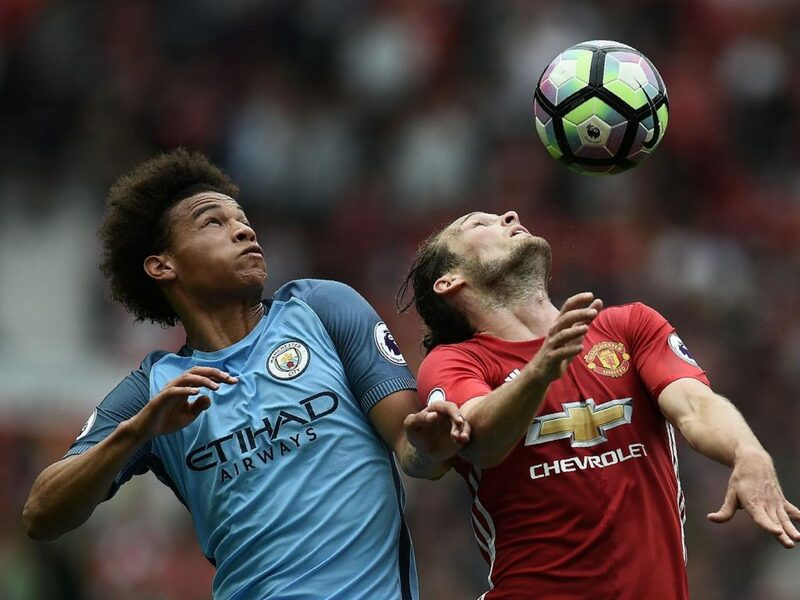 On Thursday, Manchester United and Manchester City will go head-to-head at the Etihad Stadium in a match that will prove vital for the race to top-four. United will be considerably shorthanded with many players out due to injury and fatigue. Zlatan Ibrahimovic, Marcos Rojo, Juan Mata, Chris Smalling and Phil Jones will all be absent from the team sheet along with the recent addition of Paul Pogba. United manager Jose Mourinho claimed the 24-year-old Pogba, who has played 47 matches this season, will be rested due to tiredness. Pogba has begun to prove he is worth the record transfer fee United paid for him with impressive performances in recent matches. Mourinho also confirmed Ander Herrera and Antonio Valencia will be fit to start; two players who have also played tremendously well in recent games. Pep Guardiola’s side has had its share of injuries as well. In his Wednesday pre-match presser, the City boss confirmed Gabriel Jesus and Sergio Aguero will be ready to go as he plans to pair the two goal scorers in efforts to snag three points from the match. Unlike Manchester Derbies of years past, this is not one to decide the title, but rather to decide a place in the UEFA Champions League next season. City currently sit in fourth place in the league, the final spot to qualify for Europe’s top competition, only a point ahead of their cross-town rivals. Mourinho is not as concerned with the blue side of Manchester as he is with his side finishing in a Champions League spot. “It means nothing,” he said. “If we finish fifth and they finish sixth, it means nothing. If they finish third and we finish fourth, they are above us but it means a lot. That second door Mourinho is referencing is winning the Europa league. United don’t play their two semi-final legs until the first two Thursdays of May where they face Spanish side, Celta Vigo. With a win Thursday, United will begin to control their own destiny with five league matches remaining. This is the two rivals first meeting since their EFL Cup fourth-round encounter on October 26– a game that United won 1-0 and then later went on to win the competition. It is clear that the Red Devils will be playing with less fit players than their opposition, but they will hope that momentum from their recent performances will help them to a win.